Connecting via the Internet through Virtual Private Networks is an appreciative move. It keeps you away from all the nasty things the Internet can do to your computer or device from which you are accessing Internet. With mobile devices like tablets, smartphones and laptops, we are almost always online. One of the problems of being on so many devices, is that you would have to setup VPN for each and every one of these. Suppose you are at your home, and want to use the VPN service in all your devices. One of the ways would be take each of them, and setup a VPN connection. This wouldn’t be very hard to do, but would be time consuming nonetheless. 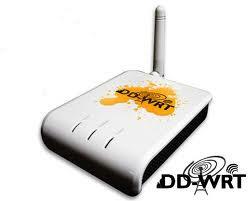 A better way out would be to setup VPN on the DD-WRT Router itself. In this tutorial, we will discuss, how can one setup OpenVPN connection with DD-WRT Router. The configuration files for OpenVPN have to be downloaded. Go to the website of your VPN service provider, and download the configuration files for Linux. Linux is usually the OS for the routers and other hardware. If you have worked with Routers before, you would know that the settings page for most routers can be found in 192.168.10.1. The exact address might differ from router to router. In the services tab of the settings page, go to VPN. Here, the ‘OpenVPN client’ would probably be disabled. Enable it. When you click ‘Enable’, it would take you to the page to enter the details of the connection. In the page that opens up, you would have to enter the details of your VPN connection. The information that’s usually asked in this page can be found in the configuration email that’s sent to you when you sign up for an account at the VPN service provider. Enter as many details as you know. The crucial ones are the server IP and Name. There are some details which can be found in the configuration files which you have downloaded in the first step. Now it’s time to use the files which you had downloaded from the website. Unzip the files. Among the folders, look for ‘ssl’. Here there are some files from which you would have to copy contents to settings page for the VPN connection. There will be a file called, ‘ta.crt’. Open this file in a text editor, say notepad if you are using Windows, and copy the contents to TLS Auth Key, that is being asked in the configuration window for the VPN. Then do the same for ca.crt, and copy it to CA Cert box. Then client.crt to Public Client Cert and client.key to Private Client Key. After you have done these, click ‘save’ and apply settings. If everything was done successfully, you would see the status as ‘successfully connected’, when you click the ‘Status’ followed by OpenVPN.